The National Trust is calling for poems inspired by a special outdoor place for their Landlines Competition. The prize is something money can’t buy – a special day with National Trust staff at either an outdoors location or behind the scenes at one of the NT properties in the winners’ chosen region. 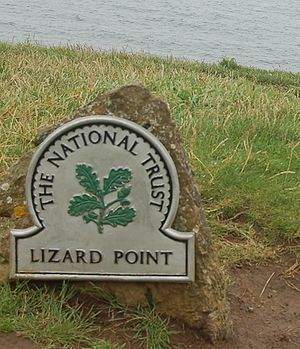 In addition the winners in each category will have their poem published in the autumn 2011 edition of National Trust Magazine. The winners and five runners-up will also receive a copy of Ode to the Countryside – the NT collection of poetry celebrating the British landscape. So it should be easy to find plenty of inspiration to get you going! There are two categories – ‘Under 16′ and ’16 and Over’. Only one poem per entrant is allowed and each poem should be no longer than 20 lines. There is no entry fee. The closing date is 31 March 2011 and entry is by email or post. For full details of where to send your poems click here. And don’t forget, there’s only a week to go before I draw the winner of the Stieg Larsson books. Details are here. This entry was posted on January 28, 2011, 12:00 pm and is filed under Competitions, Poetry. You can follow any responses to this entry through RSS 2.0. You can leave a response, or trackback from your own site. Celia – I’m not directly involved with the competition or the National Trust – I was merely bringing it to the attention of readers of this blog. The winners will be published in the Autumn edition of the NT magazine but I don’t about the web. The link to the competition details on the NT website no longer works so I can only suggest that you try emailing the National Trust directly. Sorry I can’t be of more help but if you do find anything out please post another comment to let us all know! Many thanks.